This week Awesome Stories brings you Nature House, self-care, cultivating awe, and Street Books. This is an amazing story of a family that decided to build their own geodesic home in Northern Norway. 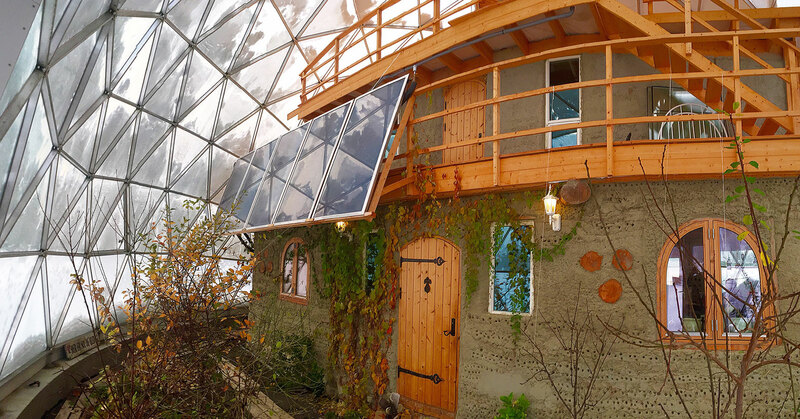 What makes it so interesting is how they built a three-story cob home covered by a geodesic dome to shelter them from the extreme weather and grow food for most of the year despite living in the Artic Circle! In the process of building the home, living remotely and mostly self-reliant, they have re-invented themselves and created a life and home they love. Read the Inhabit article to see their beautiful home. 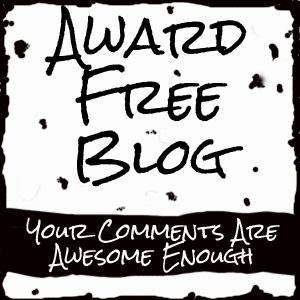 These are great reminders from fellow blogger Richard Silvia. As a sensitive person, I’ve had to learn self-care the hard way and not always understanding why I can be drained and overwhelmed in crowds. Richard calls nature the ultimate Rx and I agree. Additionally, he suggests intentions, creativity, connection and rest to recharge so that we can be our best and offer our gifts to the world. Thanks Richard. Street Books is a wonderful project started by Laura Moulton to bring books to people living on the streets or at the margins of life in Portland, Oregon. I love her compassion in using books as a way to help us connect and serve street people differently. She brings the books to them on a bike following a set schedule so people know when they can check out or return a book. People are allowed to sign out any books they want on an honor system. This is one of the many aspects of her approach that brings dignity and compassion to people living on the streets. Kudos Laura! Homaira Kabir talks about the need to cultivate awe in the workplace. Typically, most workplaces focus on efficiency, profitability and other production oriented measures. Most of us have felt awe, the sense of wonder at a world so vast and mysterious. Homaira describes it as a mix of both fear and excitement. A good leader or mentor can help us hold these contrasting energies to open us to new possibilities. She suggests they encourage employees to explore mindfulness, art, nature, purpose and other more altruistic approaches to work. The paradox is that awe can’t be created at will. At best we can cultivate an openness or way of being that allows room for awe in our lives and work. What do you think? I’m all for awe, but not convinced that it can be cultivated, especially at work. May your week be touched by compassion, self-care, and awe. That street books idea is remarkable! As is the house in Norway! Awesome once again, Brad! The story of the geodesic dome reminded me of Buckminster’s suggestion that large cities be covered completely in an air-conditioned dome, as it could provide a pleasant environment for the whole city at less cost than conditioning each individual building. Ha! I’m never tried to do the math on that one, but he was such a radical thinker! That dome and house look amazing–like a perfect marriage of efficiency and sensibility. Thanks for another great batch of inspiration! Great post Brad. Keep it up, we are enjoying. The house under the dome is interesting. I would be afraid if one of those panes would break if they do. The streetbook library is awesome. In our community they are cropping up. The only difference is the book shelf has glass doors and a roof to keep out the elements. It is an outreach to the community who wants to read. Thanks Joseph. I’m fascinated by the dome home. We have those free libraries popping up here too, but I really like the mobile book delivery via bike and personal connections. Yes that personal connection is what we really need more than ever in our societies. This house is amazing! Inspiring how people find new solutions, new ways of living. Beautiful. Thanks again for sharing Brad. As an introvert with a profound need to stay rooted in nature, particularly after prolonged periods in captivity, “Recharging the Empath” resonated. You’re welcome Gabe. I like your cute reference to captivity and surprised to hear that you’re an introvert. Your writing has such an upbeat, outgoing feel to it. Maybe because you recharge in nature. Loved your first story, I have not as yet visited the others Brad.. But I see these dome house structures being built in the future.. Simply because I feel that our weather patterns and winds will start to increase in speed.. So our normal square will not stand the pressure of wind.. It serves dual purposes.. as it acts as insulation in winter.. a green house and shield.. Many thanks for finding these gems.. I once read somewhere long ago that we would Have to build homes like this because of the wind velocity increasing.. And when you think how these super storms now materialize..
Also love the Nature House in Norway – so cool! Yes Julie! We have lots of the LFL in our town (and the women who started the similar Little Free Pantry!, but that’s another story! 🙂 I really love the Street Book idea too. To inspired weeks with hugs! Agreed Karen. More soulful connecting is what we really want and need in our endless searches. I love the street books concept…also found the Norway self sustainable home fascinating….and beautiful!! Wow, what an amazing house that is! And any project to give out books seems like a good one to me. As for creating awe in the workplace, I think it’s a nice idea, but I’m not sure it would work in practice. Thanks Andrea. I’m with you on the awe. I’d love to see it, but doubtful many workplaces would encourage it, at least under current priorities for profit. Agreed Harula. Street Books is bout breaking down walls to connect and humanize those who might be overlooked. Thanks for caring! Thanks Helen. I’d love to hear more about the kinds of organizational change you worked on. In the 80s I was fascinated by the early OD ideas to start valuing people as an asset. Awe would be an awesome value to inject into the mix! Hope you’re well. I’m a little behind in commenting and posting this week: I just have had a whirlwind week – but I’m catching up. Thank you for always sharing these! Have a wonderful day! I never cease to be amazed and inspired by the people of Norway. I especially love the meaning of this family’s last name, Heart Followers. The love and passion in their hearts shine through both their physical creation and their mental attitudes, perseverance, and ingenuity. Thanks for sharing, Brad – have an “awesome” week!